Key West Sailing Race: Day Sail, Wreckers Race and more! Key West Sailing Race: Day Sail, Wreckers Race and more! 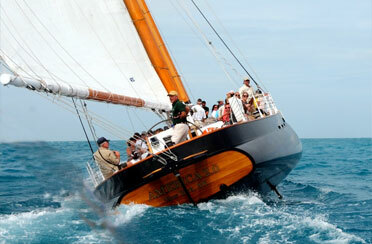 Besides being known for great food and music, Key West is also known for its perfect sailing conditions. And what better way to experience sailing than aboard the Schooner America 2.0 for a race! Unlike most traditional schooners, Schooner America 2.0 was built for both speed and comfort. We would love for you to experience our her grace and style, and our crew’s incredible service at one of our annual race events. Our stunning, black-hulled, 105-foot sailing yacht is a tribute to the first Schooner America, the namesake and winner of the first America’s Cup in 1851. And true to her predecessor, Schooner America 2.0 has won over 30 races in the past 8 years! So grab your tickets! 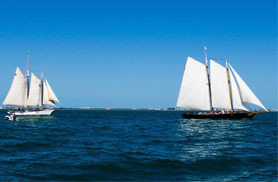 A sailing race is something that you must experience while staying in Key West!